We’re at it again with a fresh concept for SAHCC’s 2016 Fiesta Medal! 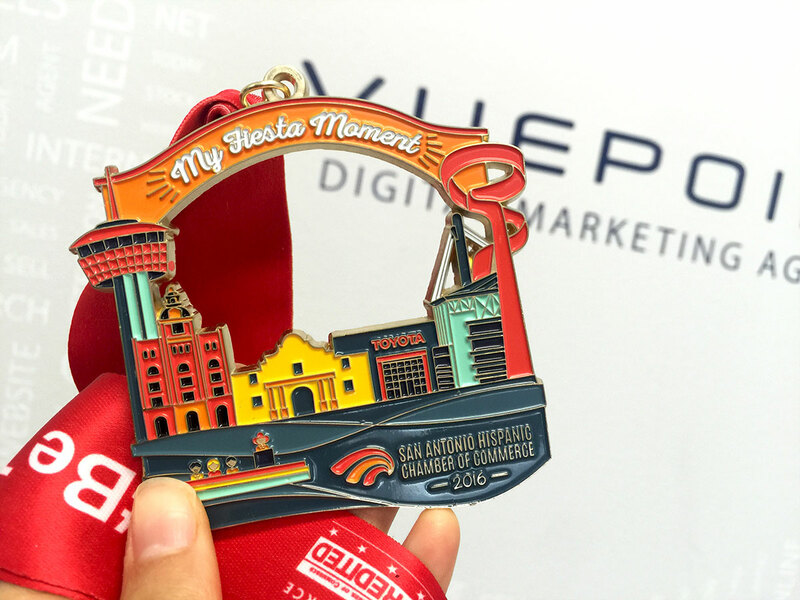 We collaborated with San Antonio’s Hispanic Chamber to top the game-changing SAHCC 2015 Fiesta Medal. Because it was such a hit and they sold out of all of their medals so quickly, we knew we had to think BIG. The new medal comes in at 3.5 inches wide and 3 inches tall, dwarfing last year’s “selfie medal”. Not only is it bigger, the concept is bigger and bolder as well. 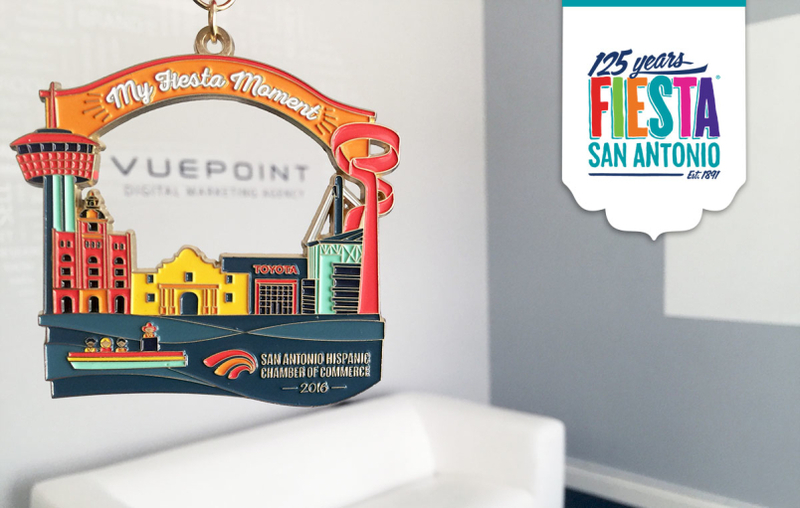 The theme, “My Fiesta Moment”, encourages everyone to take a pic of their “Fiesta Moment” framed by the medal in the foreground. The design features popular San Antonio landmarks like the Tower of the Americas, the Riverwalk, the Torch of Friendship, and of course, our beloved Alamo. 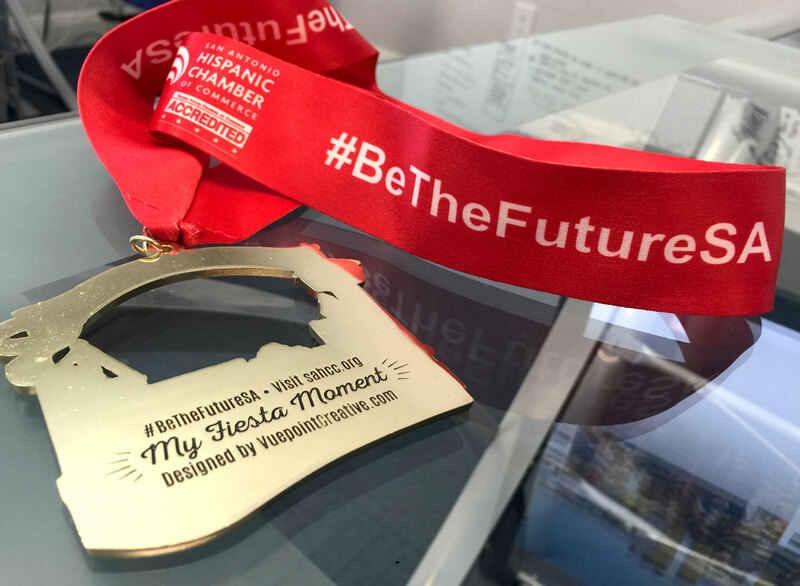 The back of the medal, as well as the lanyard, features the hashtag #BeTheFutureSA. Tag your photo with the hashtag and you could be the lucky one chosen to ride on SAHCC’s parade boat in the Texas Cavaliers River Parade! The stakes are high so the competition will be fierce. Start planning your perfect Fiesta backdrop now! The medal design went from a list of must-have landmarks, to hand-sketch, to digital illustration, to tangible product in a process that took just under two weeks. Early planning is key. Beginning the discussion even before 2015 came to a close was crucial to the success of the design as it usually takes several weeks to receive the finished product in time for the festivities. The campaign utilized the hashtag #BeTheFutureSA and #MyFiestaMoment to track all of the action on Facebook, Instagram and Twitter. 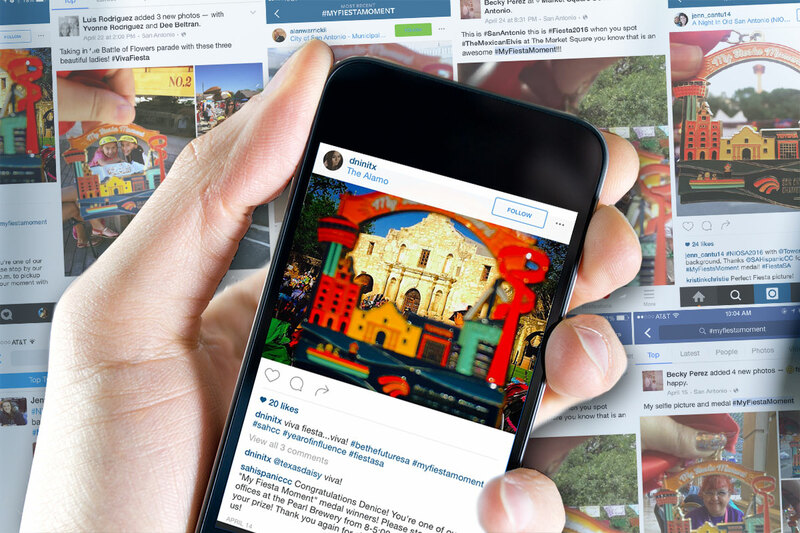 Fiesta-goers shared their “Fiesta Moment” using the hashtags so they could be shared with the world. This also allowed SAHCC to review all of the images and choose the lucky winner! Thanks to the help from Toyota Motor Manufacturing of Texas’ sponsorship of these medals, the Hispanic Chamber was able to generate over $20,000 in revenue! They also continued to build on their social media following through all of the engagement and sharing that naturally happened with this exciting campaign.